We host and manage data. 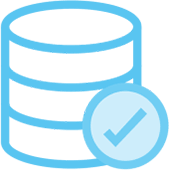 We have a data warehouse full of useful data to complement our clients’ own. We have cool software. Our clients use it to analyse and visualise data and turn insights into impactful reports. We are Data Scientists, Mathematicians and Statisticians. We work with clients to unleash the power in their data. We are data partners. We work with clients to create outcomes that protect and grow their businesses. It’s not just about the data. It’s about the amazing things our clients achieve by making their data work harder. To drive outcomes from business data, teams must have consistent, governed access to data that is relevant, insightful and usable. Gavurin Data offers a range of services to help you acquire, structure and govern the data which drives your organisation. Also, you can access the Gavurin Data Warehouse which offers a wealth of value-added data that can be combined with yours to unleash the potential in your data. Research has highlighted that nearly half of UK organisations believe that a lack of data and/or the necessary analytical skills is holding them back. However, with good data and smart self-service tools to explore it, people can turn raw data into informative, well illustrated business insights. What better way to drive better business outcomes than through data-informed decisions? Gavurin Analytics delivers advanced data discovery techniques with simple to use, yet powerful, charting, mapping and analysis software (SaaS) tools. Driving business outcomes is ultimately about people and teams – this is where Gavurin Reporting comes in to play. Our easy-to-use, self-service solution delivers WYSIWYG authoring tools, automated data updates, professional quality branding and AI powered, natural language generation, ensuring your team share content quickly, confidently and effectively, whether communicating internally or sharing insights with customers and stakeholders. For teams that need to produce a high volume of professional, quality reports leveraging even more from their content and data, Gavurin Workflow offers a uniquely focused set of collaboration tools. Don’t put your team’s precious insights at the mercy of email, spreadsheets, ad hoc processes and missed deadlines – Gavurin Workflow delivers an end-to-end solution to optimise and professionalise how you plan, create, track and publish your team’s content. We get it – sometimes the difficulty with using data to drive your business is knowing where to start, or how to proceed. Gavurin Services will be with you every step of the way to help you discover and realise the potential in your data and your team. Whether it’s understanding what data you have, what data you need, what questions you need to ask or what insights your data might provide you, our Data Science and Information Design team are on hand to help you on your journey to better business decisions.